It's all about connecting with people - network your lunchtime away! 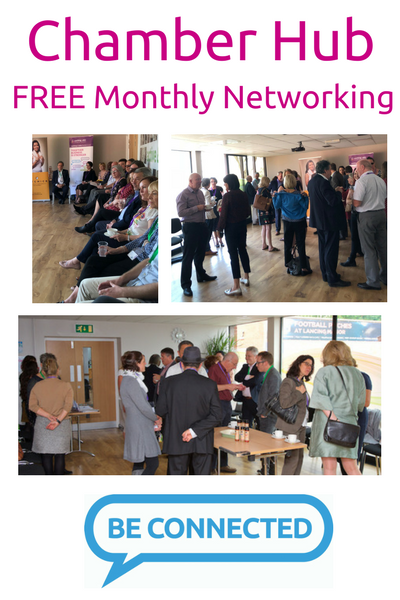 Spend your lunchtime enjoying some informal networking with like-minded business people. Chamber Hub is a well established, popular networking event which attracts a vast selection of local businesses. Is networking new to you? Chamber Hub is an informal event and the perfect way to get started. There will always be an Ambassador on hand to greet you and introduce you to others in the room. We want you to feel welcome so you regularly come along to our events, its proven this is the best way to build relationships and in turn build business. Remember networking is just as much about what you can do for others as what they can do for you. Don't delay book your place now, then just turn up with plenty of business cards and even with a colleague or two. You have nothing to lose other than an hour of your day, give it a try! Ready Steady Store is a storage provider in Shoreham, we are delighted to be opening in Worthing on April 1st. We offer affordable storage and units from the size of lockers to triple garages. Modern facilities, extensive security, great customer service and a special pre-opening offer of 35% discount for Chamber Members make us the best place to store!